Pour 2-3 tablespoons sweetened condensed milk into the bottom of two glasses. Add 1 cup of brewed coffee to each glass and stir well. Fill the cup with ice to the top, add a straw, and enjoy your dairy-free Vietnamese Iced Coffee! So there you have it! 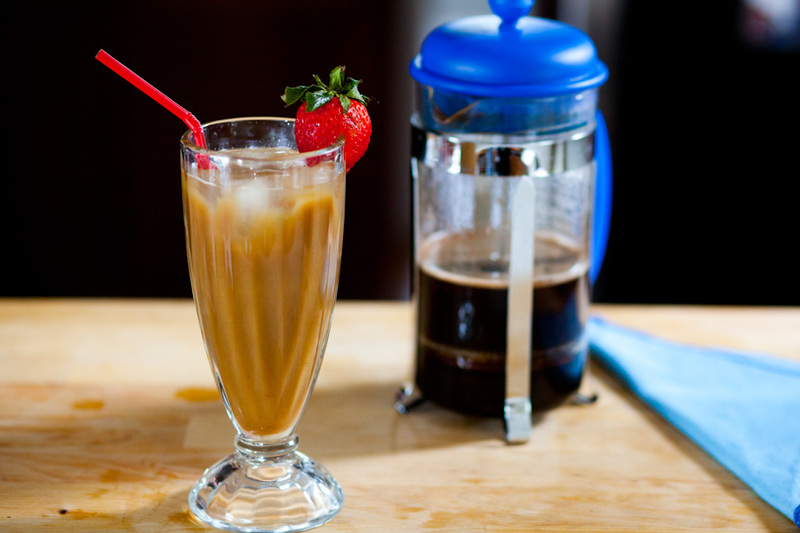 Dairy-free Vietnamese Iced Coffee. For more delicious beverage options, check out our recipe for a Raw Vegan Chocolate Shake or our delicious Blueberry Cobbler Smoothie. Did you try this recipe? We wanna see! Tag us on IG: @carrotsandflowers 🙂 You can also find us on Periscope! We do live vegan cooking demos and explain the awesomeness of a plant based diet. Follow us there @carrotflow.